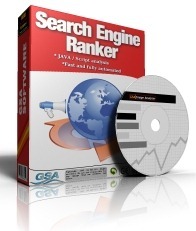 This is a review of GSA search engine ranker from the German company Gesellschaft für Softwareentwicklung und Analytik mbH (Society for Software development and Analytics Ltd) in this review we’ll look under the bonnet of the software to see why it is considered and regarded by many in the SEO industry as one of the best pieces of software on the market. GSA is classed as a submission software, it finds platforms on article sites, social bookmarks, social networks, forums, comment articles, wikis, web 2.0’s and posts content. GSA takes the keywords you input and searches for sites that use, relate to or have those keywords on a particular page and then posts to those pages. To add some context, back in 2012 an ex-member of the google search quality team said, ‘relevance is the new PR’ and this is at the core of the program. So that is basically how the software works, it is far more complex than how I’ve just described above and the learning curve on it is long. It took me 6 months and many you tube videos to really get the program working right. But this is exactly what the program expects you to do, you need to learn every detail of GSA, what all the different settings do and how each of the engines work, then your understanding of the program and SEO will grow. But this isn’t a program that you can learn and that’s it, the main developers are constantly (and I don’t say that lightly) updating, adding and improving the program, Sometimes updating twice in one day. These adjustments come in the form of occasional bug fixes but also in small changes to the settings. The development team is also open to requests, I have had a few of my own added to the software. I think they understand that ideas coming from a community that uses the program is just as valuable as their own. As with all software, it is really only as good as the content you use, with all the panda and penguin updates over the last few years, content that’s unreadable or contains poor grammar can struggle to get indexed. This is where the settings help, you can load thousands of articles in to the software, spun or un-spun, and set it up to only post an article on a site once, twice and or more, set it to post every 24/48 hours to pause before posting and limit the number of times between posts. The scheduling is really in-depth and an area that is often updated. The support for this product is also as impressive as the program, many times I have posted a question or query the answer was either replied to by Sven himself or by one of the community. Particular experts I tend to read are ron and gooner and as I said above you can add requests to the program, I have had one request added to the program, it was approved, tested and added within 6 weeks. There are similarities between GSA and scrape box, and I would assume this is at the core of the program, but GSA takes this a step further. The software, much like scrape box, allows you scrape your own sites and URLs you can then use these on projects, this saves the program having to actually look for the websites. This is an excellent feature as you can load up several projects with the same site list or randomly assign the URLs to the projects so it can pick out the sites that work. All submitted and successful sites are saved in the main site list which can be selected to be used on a project or not. Like other SEO software you are able to tier the campaigns, but unlike other program’s you can have live campaigns running, so a tier 2, tier 3 and if you like a tier 4 can all run at the same time building links to the links that have just been created or using it to index a lot of the links. This is a massive accomplishment as the you can start one tier, then you can start a couple of next tiers and then starting several tiers after that. Allowing the lower tiers to still trickle links whist higher tiers are building links. An excellent and much understood service is SER engines, this has a list of Web 2.0 blogs, for example WordPress, newsvine, edu blogs, and a few more. This service is serperate to the main programme and has a monthly subscription. The creator has designed a way of creating a site that looks authentic with it’s own theme, title and tagline and making allowing you to submit to the site, much like a blog, I’ve had mixed results with this, and I will do a full review later on. Other services that can accompany GSA are catch sniper, captcha breaker, deathbycaptcha, and SER engines. Which is a comprehensive list. All these services help post to some of the better sites (higher PR, DA, PA) or solve captcha, and some of them come at a extra cost. Fundamentally the software gives you all the tools to rank a site effectively, I personally don’t use the software for tier 1, but use it for tier 2, tier 3 and sometimes tier 4. I can imagine using just SER engines for tier 1 would be the best method, others might contradict me and say that they have had success with using other platforms, but I personally wouldn’t risk it. I wouldn’t say that GSA is a set and leave program, it takes time to learn the best way to use the program, this takes time to monitor what the individual project is doing and if it is effectively posting to the correct platforms, what it is posting to and how it is inserting the links. This all takes managing, it’s not a full time job. Then there is checking the captcha services, live links (which can be automated now), private and public proxies and general software updates, you would probably have to look at it once every 2 weeks, I tend to put aside a morning/afternoon once a week to go through these, but that is because I like to stay on top of them. It relays heavily on RAM of the computer, so a powerful computer or VPS is required. But overall if you are going to use an automated program then GSA should be in your arsenal, there’s so much that it can do, I’m still constantly learning how to use it and with all the updates I’m finding little settings and options, as well as new platforms to use. You can find the software on their website, or by clicking here.